Read an interesting article today about my old home - Victoria. 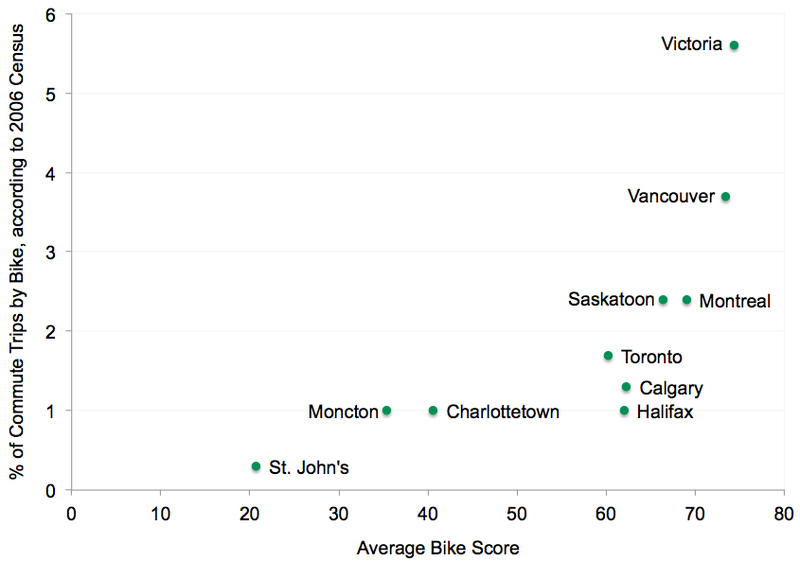 Researchers at UBC and SFU have recently declared it to be the most bikeable city in Canada. The system they use is an offshoot of WalkScore. It uses factors such as cycling infrastructure (Ex: bike lanes), topography, desirable amenities and road connectivity to give cities a score on how bikeable they are. *They don't include statistics related to cycling accidents or probability of bike theft in their calculations. I guess they assume that more cycling infrastructure means safer cycling. I especially like the google function that allowed you to superimpose the data you were interested in onto the map - stuff like designated bike routes and truck routes.